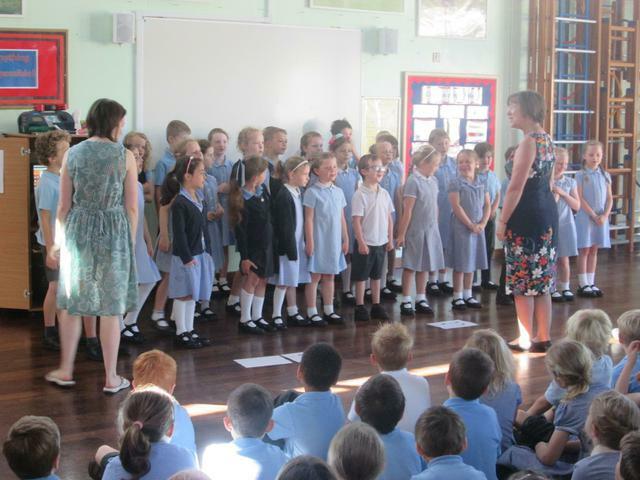 Singing Stars is the name of our school choir. 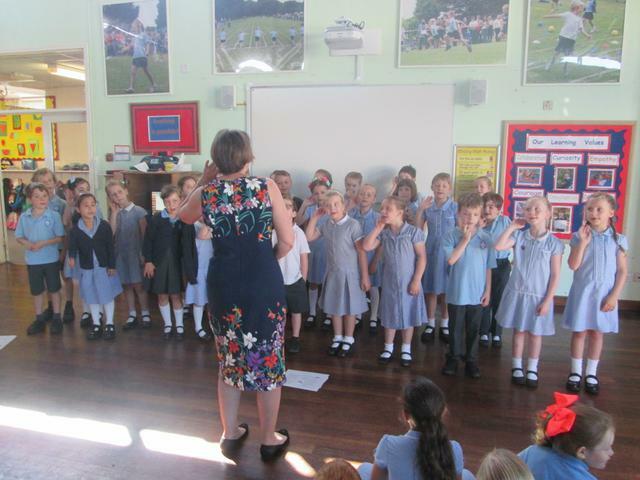 This club is open to Year 2 pupils and meets on Tuesday lunchtimes for song practice. 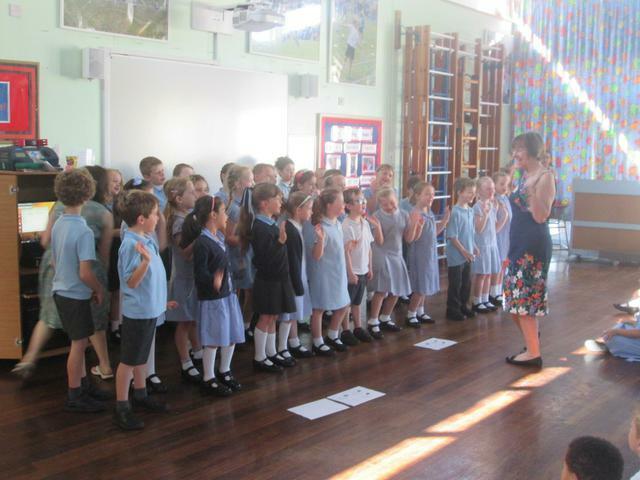 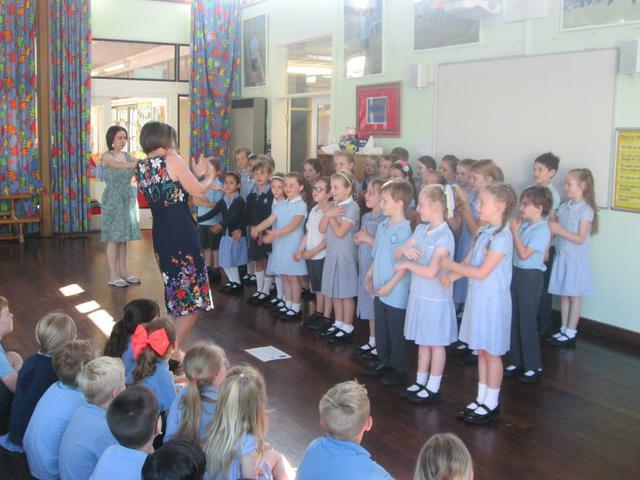 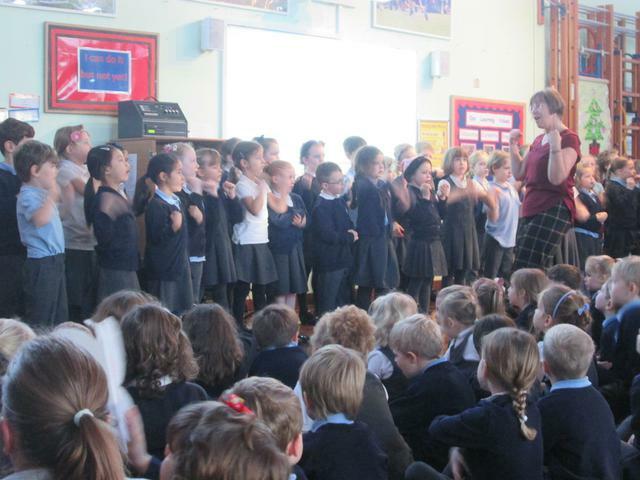 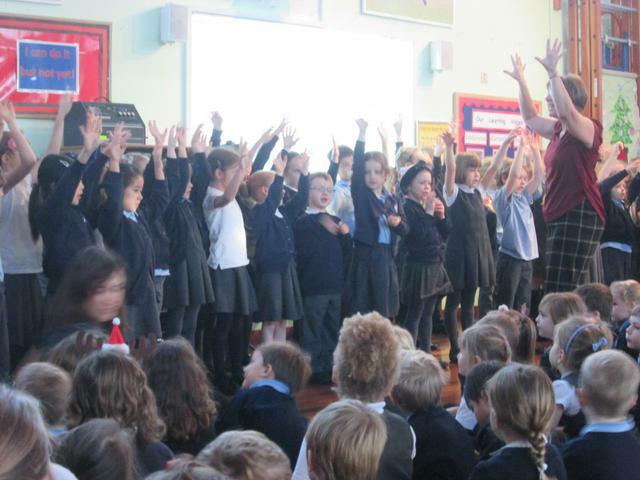 Our Singing Stars perform at events throughout the school year. 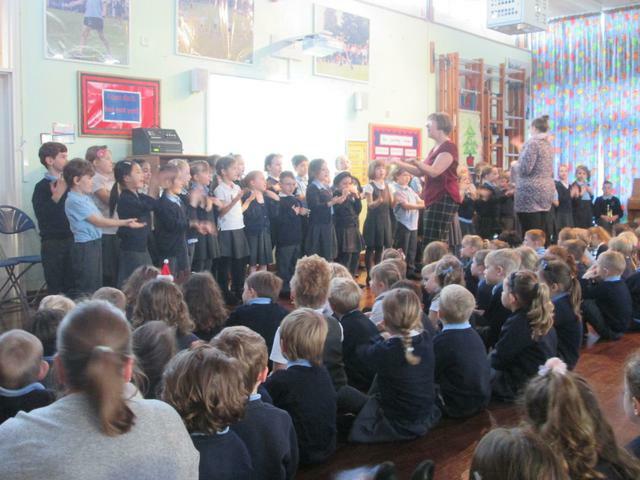 Here's some pictures of us performing in assemblies!